One look at the Surrey dining scene and it is pretty much a collection of ethnic joints with a spattering of chain restaurants and small little outfits. But where are the "nice" places to eat? Well, there aren't many and the ones I've been to have been pretty mediocre at best. So where does one eat if they didn't want Pho, Curry or Subway? Well, how about a small lil' place underneath the Old Surrey? Wait. The basement of that place? 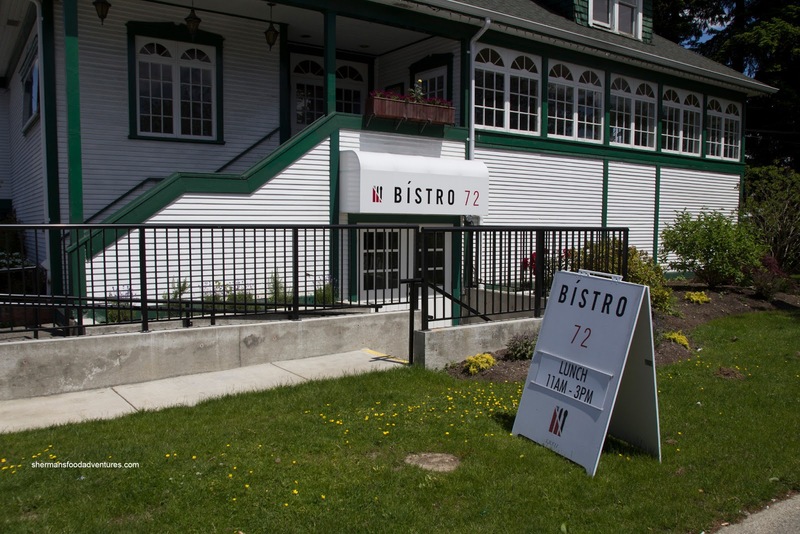 Don't worry, Bistro 72 is its name and it has been renovated. Due to the unfortunate meeting between my car's windshield and a rock, I had to pay Speedy Glass a visit. Lo and behold, Bistro 72 was right there, for us to have a quick lunch. Mrs. Spray Bottle was nice enough to give me a lift while Duffman joined us as well. 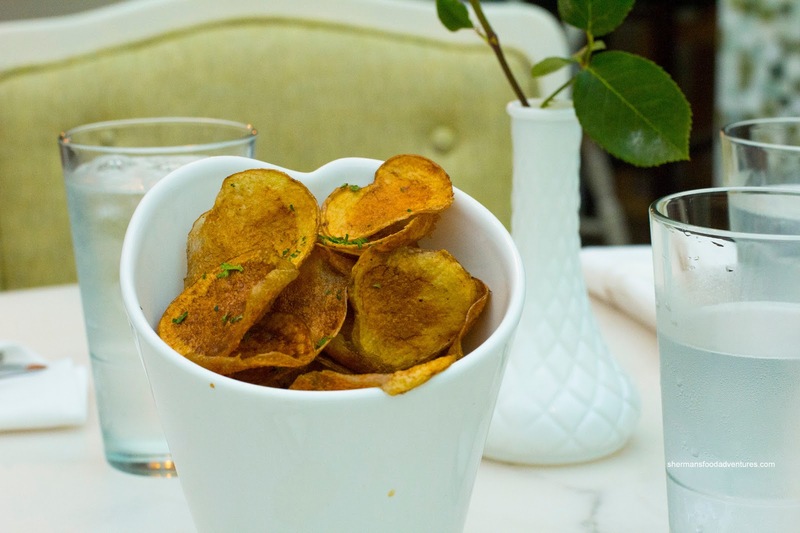 We were started off with a complimentary order of Fresh Fried Chips. These were super light and crispy, not greasy at all and only lightly salted. 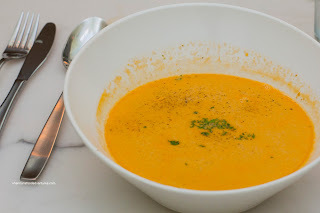 I decided to give their Shrimp Bisque a try and it was a fairly large bowl. I found it to be thin though without the silkiness I was expecting. However, it did taste good with the essence of shrimp while not being salty. Next up was an Oyster sampler of sorts with 4 different preparations. 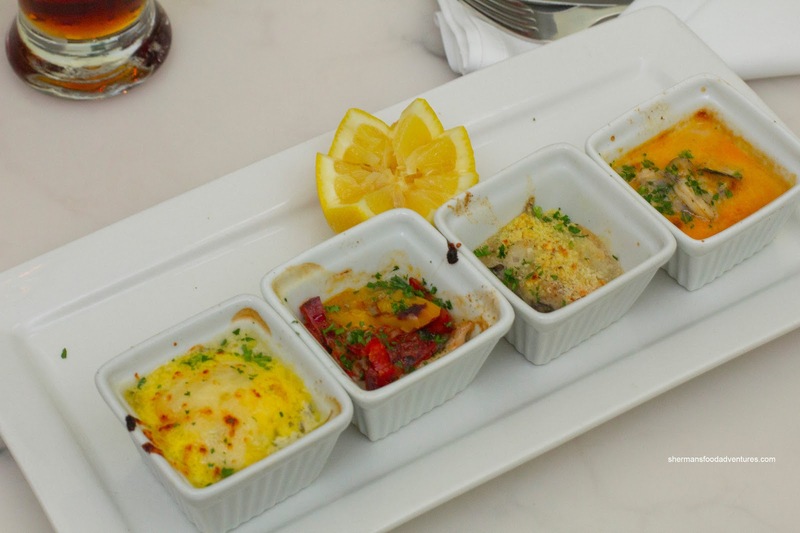 From left to right, there was Hollandaise, Chorizo, Parmesan Breadcrumb and what I believe was something similar to the Shrimp Bisque. Each oyster was just barely cooked being buttery and soft. I liked the chorizo and Hollandaise the best as there was flavour, but the other 2 were a bit bland and wet. 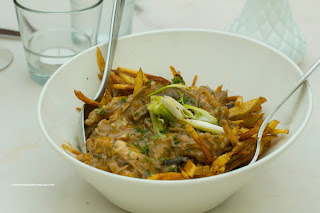 As a table, we shared the Ryder Lake Pull Pork Poutine which was quite interesting. The fries were the matchstick variety which were not as crispy as they looked. Unfortunately, the cheese curds were all melted, so we could not discern if they were squeaky or not. As for the brandy gravy, it was rich, meaty and flavourful. It caressed each piece of pork nicely. And about that pork, it was in large pieces and had the texture of duck. If it didn't say pork on the menu, I would've sworn it was duck. Mrs. Spray Bottle ended up with the Pesto Chicken Penne and it was decent. Although the penne was slightly past al dente, it wasn't soggy. 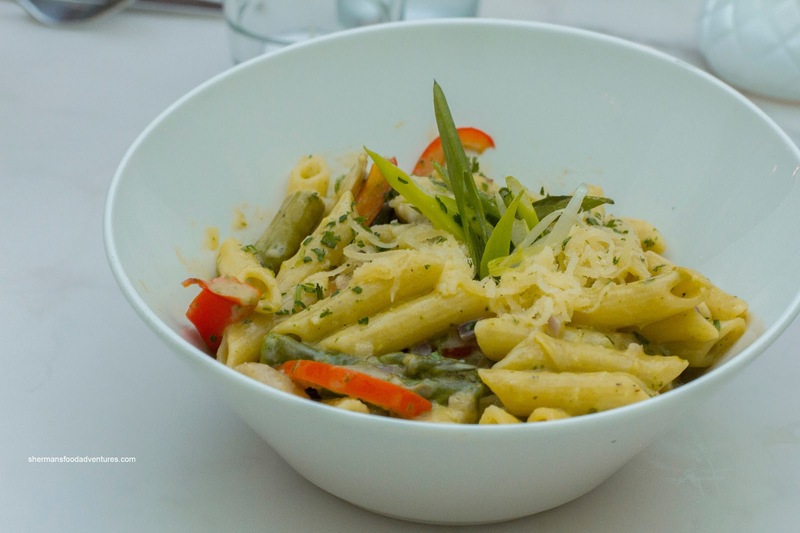 The pesto was herby and flavourful without being salty. The pieces of chicken were pretty moist as well. Lastly, Duffman had the Korean BBQ Shortribs. 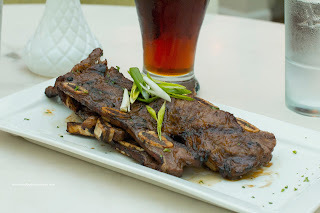 These were pretty good doing their best impression of an actual Korean BBQ shortrib. The meat was tender and slightly fatty with a sweet marinade. It was a good portion that satisfied the big appetite of Duffman. Overall, we thought the food was "not bad" while not exactly impressing us either. At the very least, Bistro 72 offers up an alternative to the many chain restaurants around for roughly the same price.